The Midnight Review: America's Entry Into World War I The Original "Bush Doctrine?" America's Entry Into World War I The Original "Bush Doctrine?" Master historian Glenn Beck is at it again, this time rewriting the historical events that led up to America's entry into World War I. According to Glenn Beck, President Woodrow Wilson's initial opposition to war was some sort of progressive ploy to get him reelected because shortly after his inauguration, America declared war Germany, which Beck also asserts was more our ally then Britain and France. I hate this S.O.B., and the more you learn about this guy, the more you will too. This is the most evil guy I think we've had in office. 1916, Woodrow Wilson won re-election in part -- large part due to a commitment to keep America from entering World War I. One of the campaign slogans boasted, "He kept us out of war." There was a very strong anti-war sentiment in America at the time. 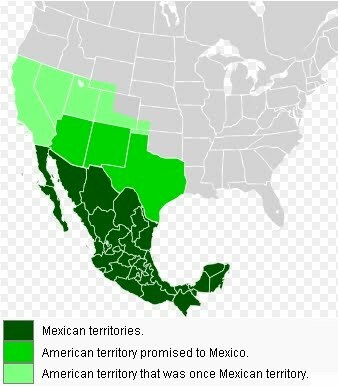 Americans -- if Americans favored a side, they would have gone with the Germans, because Germans were the largest ethnic group in America at the time. Most people weren't paying attention; the Germans were. OK. So on the eve of asking Congress to declare war on Germany -- yeah, remember, he ran I'm not going to get us into war -- it was a month later -- I've got to give you the exact date, because this is amazing: 1916, he was running for election. 1917, his inaugural address, March 4, 1917, he said we're going to pursue peace and even though we have been injured by the effects of war, we're not going into war. That was March 4, 1917. April 13, 1917, America goes to war. By Beck's logic, because there Germans consisted of the largest ethnic group in America, we didn't want to go to war. I think that same logic put Japanese-Americans into internment camps during World War II. 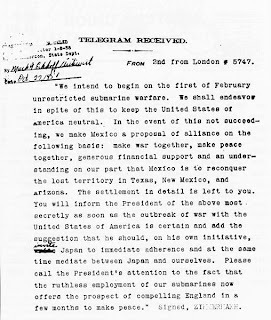 Matt Gertz at Media Matters for America did an excellent job pointing out one gigantic flaw in Beck's revisionist statement - his omission of the the Zimmermann telegram. While Beck stated Wilson had ignored American's desire to remain neutral during the war, he purposefully leaves out an important historical fact that would have swayed public opinion against the Germans. 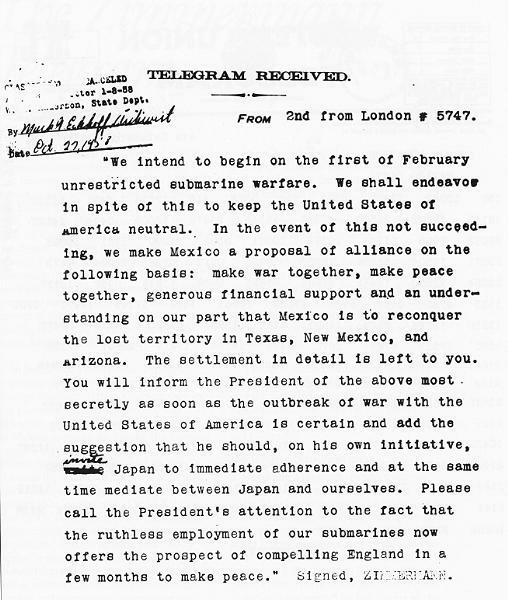 The Zimmermann telegram offered Mexico American territory, and indicate that war with America was imminent. When the vote on war came to Congress, it passed 82-6 in the Senate and 373-50 in the House. Clearly a majority of American elected officials believed it was in the best interest of the nation to go to war. If you think about it, America's entry into World War I could be considered the original "Bush Doctrine," preemptively striking an enemy before they have the chance to do us harm. I also wanted to point out that in the years leading up to the war, the Democrats were opposed to conflict and were even threatened by things like the Preparedness movement, which made apparent the challenges America would face preventing an invasion, pointing out that the War Department had "no plans, no equipment, little training, no reserves, a laughable National Guard, and a wholly inadequate organization for war"